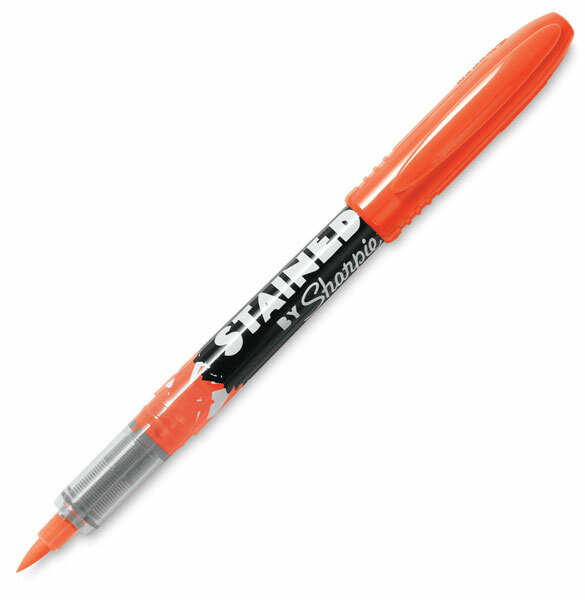 Developed for optimal performance on most fabric surfaces, Stained by Sharpie Brush Tip Fabric Markers feature bright, bold colors, perfect for staining your stuff! After use, wash your decorated items without worry. The ink resists fading on most fabrics during normal wash cycles.